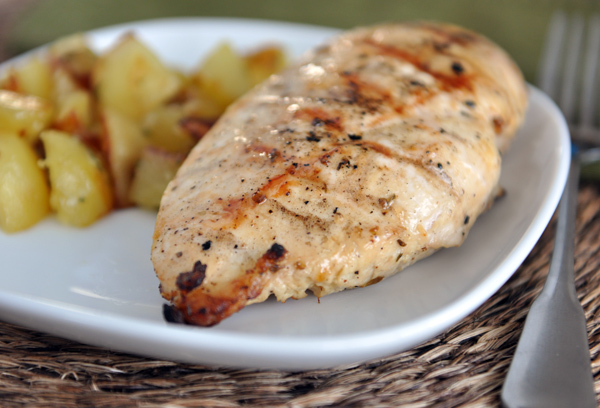 Chicken is a great source of selenium which wards of sperm deformities and promotes male fertility! 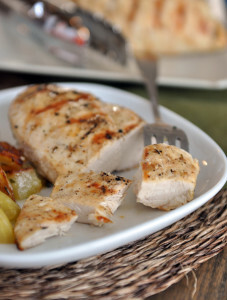 This amazing recipe for lemon and garlic grilled requires the chicken to be marinated overnight in a combination of lemon and garlic so the resulting combination makes for an intensely flavorful, tender chicken that can be used in so many dishes, or served simply with a male fertility friendly side of spinach, carrots or other vitamin-packed veggies! impress your wife and keep your swimmers fast with the power of chicken! Combine all marinade ingredients. Place chicken in a ziploc bag and pour marinade over chicken. Seal bag and place in fridge overnight. Grill (or cook in frying pan). Serve with sides of your choice or cut into bite-sized pieces and add to the desired recipe. Note: If you cut your chicken into smaller, bite-sized pieces and then marinate it, you can get away with only letting it marinate for 5 or 6 hours instead of overnight. You could double the marinade and chicken and grill it all up and freeze the extras to use later. Try our other male fertility recipes!